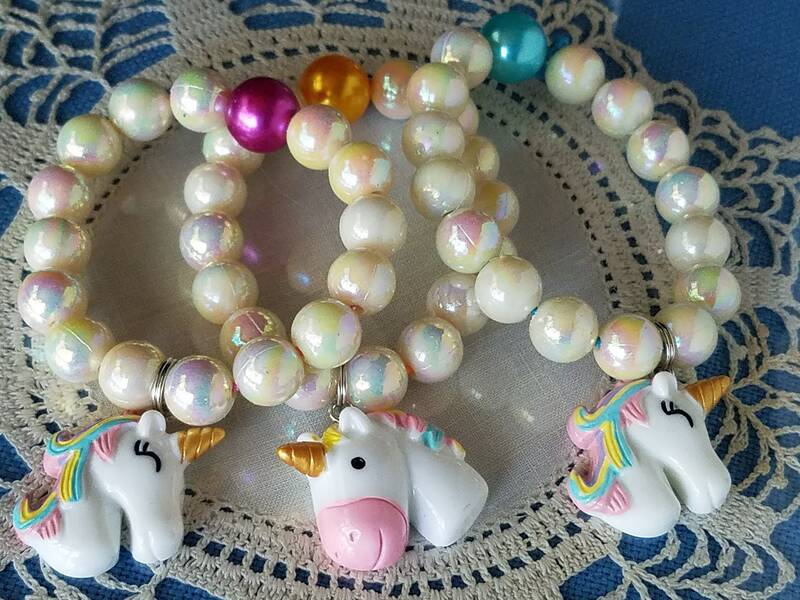 Set of 6 Unicorn Charm Bracelets or choose just one randomly selected bracelet. 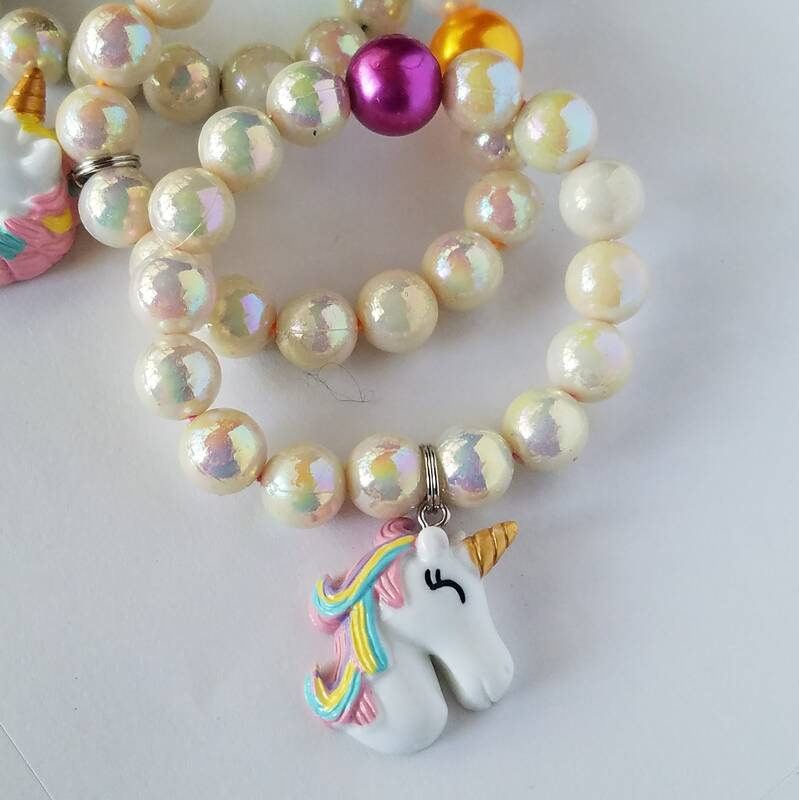 Unicorn Charm with round AB colored beads, stretch bracelet strung on stretchy jewelry cord. 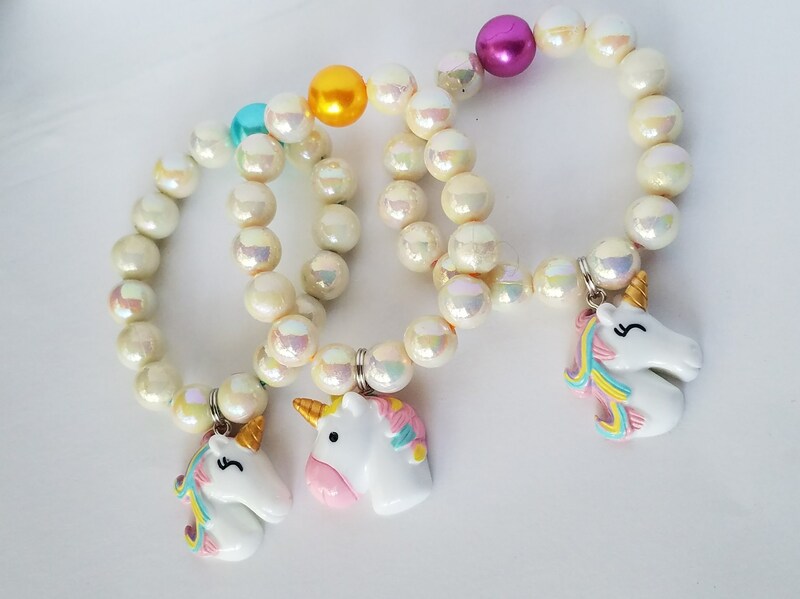 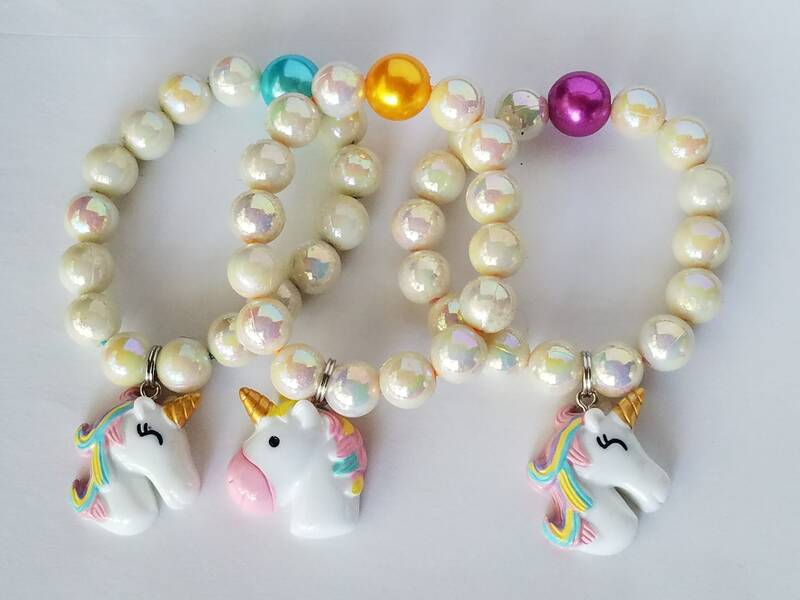 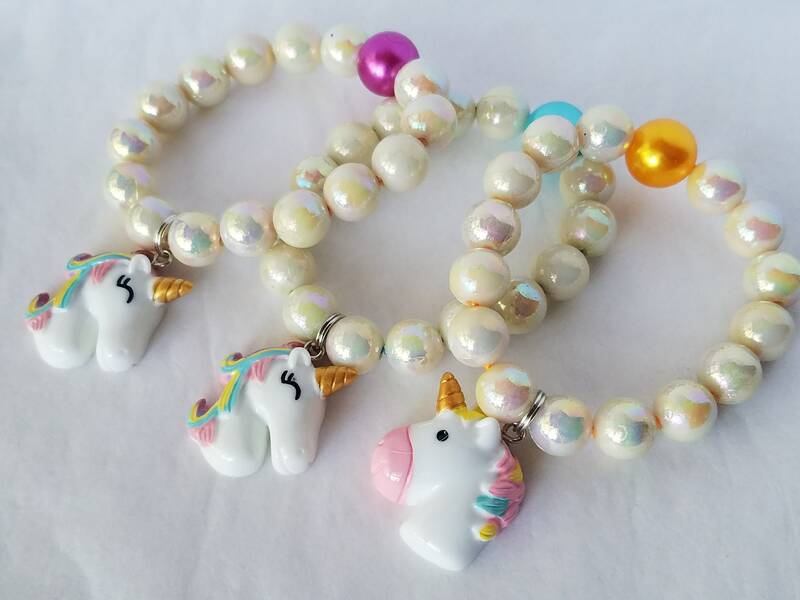 This is a party pack of six Unicorn bracelets! 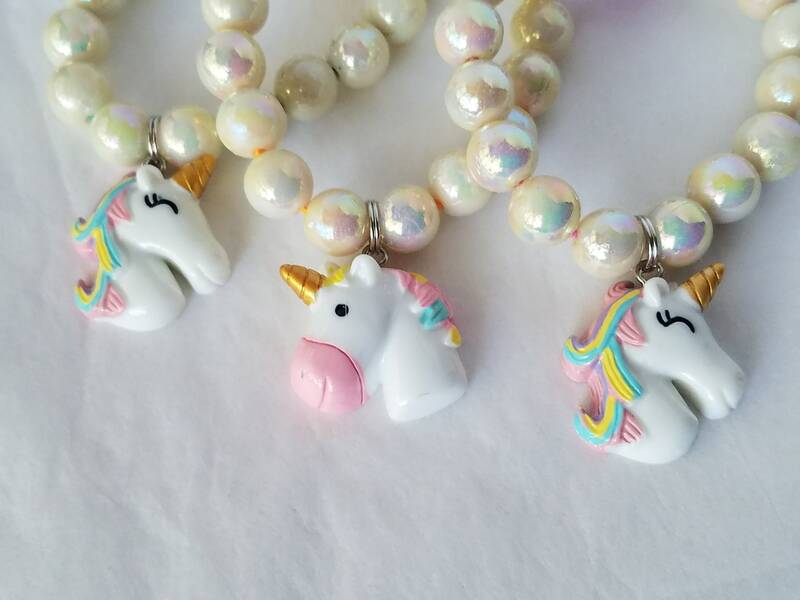 OR you can choose just one! 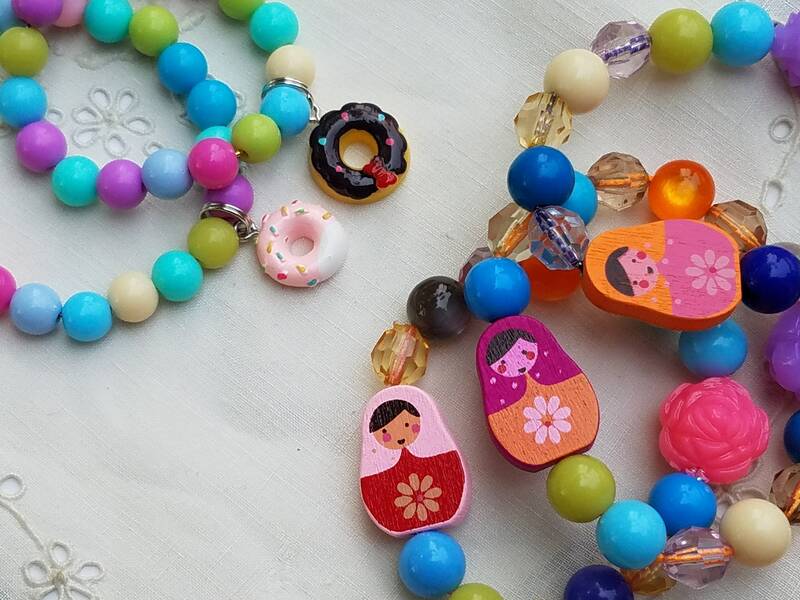 Please do not leave children unattended. As with all jewelry contains small parts and may cause a choking hazard.